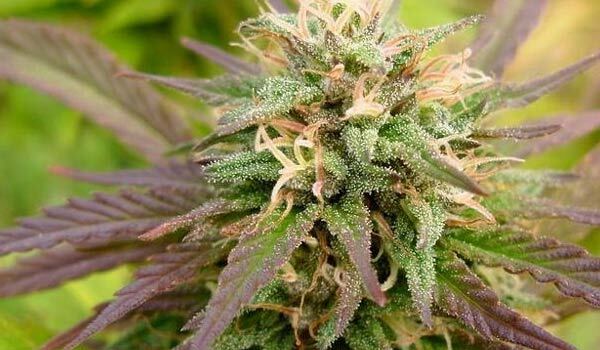 KC Brains is an esteemed seed bank that has produced some of the top strains in this industry. Among it is KC-36, a coffee shop favorite that delivers a heavy-hitting head to toe high. In moderation, its gentle mental stimulation inspires light conversation among friends but, when used at the end of the day, it ends in a good night’s sleep that invigorates users in the morning. To create the strain, KC Brains used its own KC 606. Although elusive, it has gained attention for its Indica high. Its bodily psychoactive effects relax the muscles thoroughly with ample tranquilizing qualities. White Widow was later added to improve its bud and terpene production. Not to mention, it strengthens its stalks and branches. The addition of White Widow provided to be a good choice. KC-36 is among the most vigorous strains. It has a sturdy frame with strength to carry the weight of its heavy buds as well as withstand a variety of growing conditions. Numbers beside KC usually correspond to the breeder’s age at the making of the strain. KC-36 has a fruity terpene profile that entices the nasal senses at the first whiff. It is pungent too, opening a bag can easily fill the room with the scent of ripe blueberries which intensifies once the buds are either broken apart then combusted. Inhaling its smoke reveals the subtle sweet and sour notes its undertones hide but with a spicy twist. Meanwhile, on the exhale, the taste of freshly picked flowers washes over the mouth with an earthy aftertaste. High THC levels are often associated with powerful, quick-acting highs. To this end, KC-36 is quite unique. It is a slow-starter but delivers an intense onset once the effects settle. However, since it usually starts around 15 minutes after the first to two puffs, users should be wary about the dosage. If used beyond moderation, it can turn a pleasant experience into an overwhelming couch lock. A positive change in disposition is noticeably visible during the first hour. Smiles grow wider as a while a gentle rush of euphoria brings back cheerful thoughts or amusing anecdotes. Essentially, it brings back an innate sense of happiness that leaves one feeling upbeat. It is best to prepare snacks ahead of time. Though gentle, the initial stimulation also awakens the appetite. Having food nearby, about an arm’s length away, will give users to munch on conveniently. Otherwise, the body high can leave one stuck to the couch while feeling hungry. A tingling sensation trickles down from the temples. Surging in the muscles, it releases tension and tightness that prevent users from totally relaxing. It later turns into a soothing buzz that plants a heaviness in the limbs. In all likelihood, lounging around the couch will only lead to the early onset of drowsiness. Because of its heavy-hitting Indica high, KC-36 is best used late in the afternoon or at night. Using it during the day can be counterproductive. Dry eyes and a cottonmouth are two common reactions to smoking KC-36, as a result of cannabinoids interfering with moisture production. A rarer side effect of smoking marijuana is a subtle feeling of paranoia that can overwhelm users. Because of this, one must always use the strain in moderation. KC-36 delivers a notable psychoactive high that recreational users appreciate. However, it can also be a source of comfort to patients dealing with various physical and mental afflictions. Its uplifting onset, for example, not only enhances the mood but stabilizes it as well. In doing so, it reduces stress and the overwhelming dread it brings. It is also for this reason that users can consume it to manage symptoms of depression, anxiety, and PTSD. One of the best times to use the strain is right before a meal. It encourages a hearty appetite that is perfect for patients dealing with eating disorders like anorexia or cachexia. Before anything else, though, it first soothes the gastrointestinal tract of cramps that prevent one from enjoying a decent meal. Similarly, its analgesic properties relieve pain and aches all over the body beginning from the temples. Replacing it a gentle rush of relaxation that removes fatigue or exhaustion from the muscles. Eventually, it becomes a heaviness in the muscles that makes the eyes droop. Each hour that passes becomes a challenge when it comes to staying awake. However, as the sedating effects begins to intensify, users succumb to a deep, unencumbered slumber that one to bed. KC-36 is one of the best outdoor strains. It loves the sun and each plant produces 900 grams of buds per plant at harvest in spite of the wet and cold weather of Holland. Not to mention, it is an early flowerer. It is usually ready for harvest between from the middle of September to the second or third week of October. Indoors, it does not perform as well. However, applying growing techniques such as the Sea of Green will improve bud production. It takes advantage of its branchy structure while maximizing space. Utilizing a hydroponics setup will also improve yields by directing nutrients straight to the roots. However, soil will bring out its delicious scent and flavors. Growers should also make sure that the plants get ample light and air indoors. Apart from installing high-intensity lights and a ventilation system, pruning is also of big help. It thins out the dense foliage while ensuring the light hits the lower nodes. 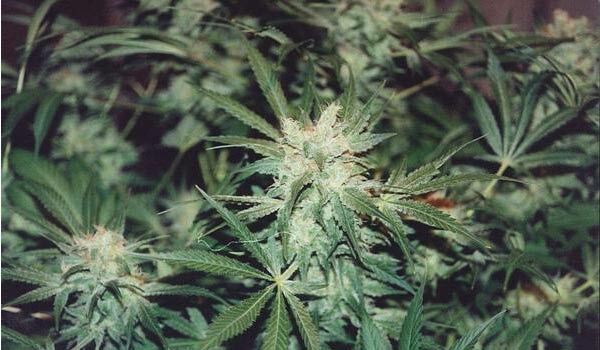 After blossoming for 6 to 8 weeks, it yields up to 175 grams of buds per plant. Have you grown or used the K-36 strain? If not, would you like to get your hands on this strain? Please leave a comment to let us know what you think. We want to hear from you.